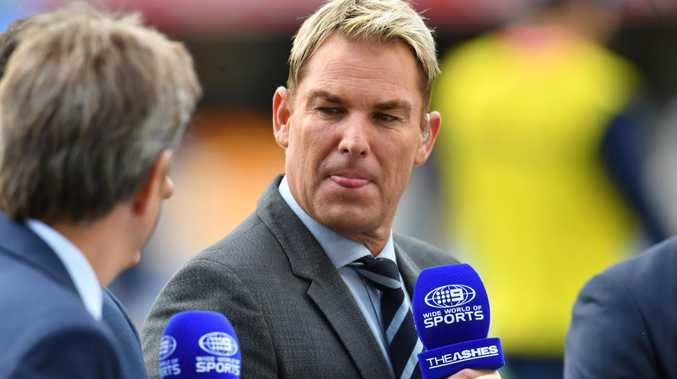 AUSSIE legend Shane Warne says only four players from the Aussie team that crashed to a series loss against Pakistan are safe for the first Test of the Aussie summer. 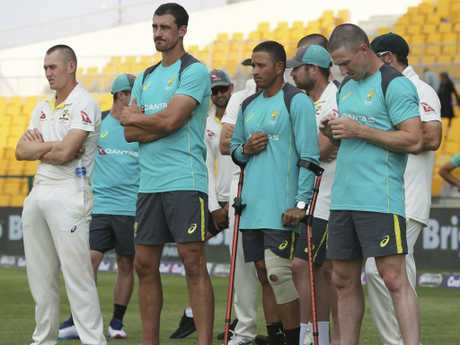 The spin king's call for up to seven changes to the Aussie side led the bitter reaction to Australia's 373-run walloping in Abu Dhabi. 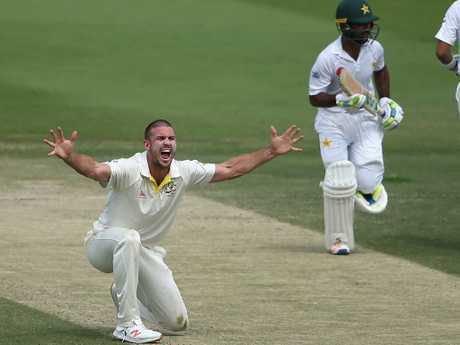 Pakistan's victory, after Australia were set a 538-run target, allowed the home side to wrap up the two-match series 1-0 after Australia fought back to draw the first Test in Dubai last week. It was Australia's heaviest loss to Pakistan, beating the 356-run hammering at the same venue four years ago. Medium pacer Mohammad Abbas was the chief destroyer of the deplorable Aussie batting line-up, finishing with 10 wickets for the Test. The fragile Aussie batting order is the biggest concern for coach Justin Langer heading into his first summer in charge of the Aussie team. Mitchell Marsh is under pressure to keep his spot, Warne says. With star batsman Usman Khawaja in doubt for the summer after being struck down by a knee injury, Warne posted on Twitter on Friday night that opener Aaron Finch was the only batsman certain to play in the first Test against India, which begins on December 6 in Adelaide. Earlier this week, Warne called for selectors to drop out-of-form brothers Shaun Marsh and Mitch Marsh, suggesting it might be time for selectors to re-call opener Matt Renshaw and all-rounder Glenn Maxwell. He described the manner of Australia's dismissals as "very worrying" and suggested the Marsh brothers, Travis Head and all-rounder Marnus Labuschange should all be nervous about keeping their spots in the Aussie team. He also said destructive batsman D'Arcy Short and returning quicks Josh Hazlewood and Pat Cummins were certain to return to the Test side. Captain Tim Paine admitted after the loss to Pakistan that his team's batting took a step backwards during the series. 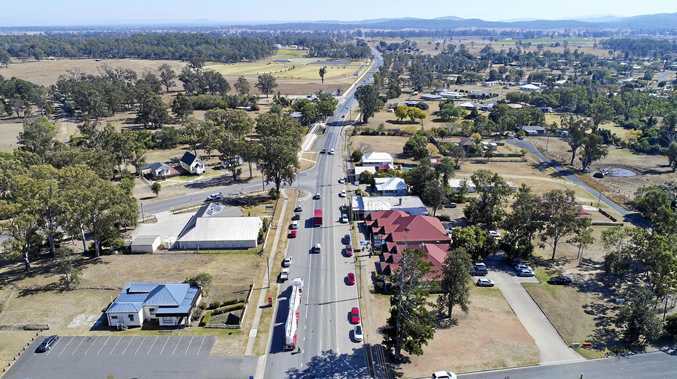 "There's no doubt this has been happening for too long for the Australian cricket team, not just our Test team but probably domestically," Paine said. "There's a lot of collapses throughout our batting group and I think a lot of it can be technical. 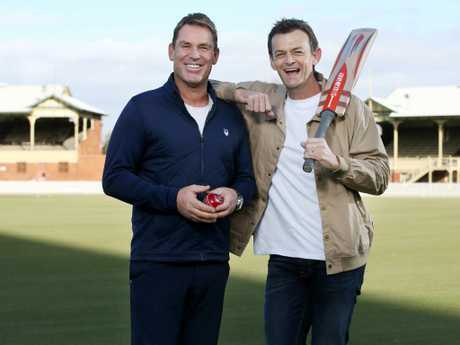 Shane Warne and Adam Gilchrist. "Some guys will be mental and other guys will be tactical or your plans not being right for certain bowlers. There's no shying away from the fact we have a hell of a lot to do on our batting and it's this team and it's through the whole country. "It's bitterly disappointing, no doubt. We had some momentum from the first Test, started really well here and then from 5-57 it went a bit pear-shaped to be honest all over the field. "To come out and do that this Test is like taking one step forward and two steps back. It's really frustrating." Thankfully the incredible form of Pakistan spearhead Mohammad Abbas diverted some attention away from how much the Aussie top order struggled. Underrated and seemingly forgotten in Australia's preparations, Abbas had the last laugh when he claimed top honours in Pakistan's Test series victory in the UAE. Abbas was named man of the series after taking 17 wickets at a remarkable 10.58 with his deceptively dangerous seam bowling. The medium pacer crushed any hopes of an Australian fightback in the second Test when he dismissed Head, Mitch Marsh, Finch and Paine in a stunning day-four spell in which the tourists added just seven runs. South Africa great Dale Steyn led the praise for Abbas after his 10-wicket haul in Abu Dhabi, suggesting he was on course to become the world's No.1-ranked Test bowler. But while skipper Paine insisted Australia were ready for Abbas, bowling coach David Saker provided a more illuminating perspective. "Abbas is so accurate with the ball, and obviously our preparation was more spin-orientated so we've been taken by surprise by the pacer," Saker was quoted as saying by ESPNCricinfo. A relative newcomer to Pakistan's Test side, Abbas - who has now taken 59 wickets at 15.64 - was the best-performed bowler when Pakistan toured England earlier this year. "It looks like (Australia) hadn't prepared or that they took him a little easy," Pakistan skipper Sarfraz Ahmed said after the second Test. "But credit goes to Mohammad Abbas because the pitch is not suitable for fast bowlers. The way he bowled, he was the best bowler on either side."